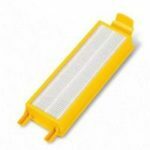 If you have done any amount of research on today’s vacuum cleaners you will already know that the vast majority of them come with some form of a HEPA filter. This is probably the most important technological advancement in the industry over the last 20 years. The awareness of the dangers of indoor allergens has forced the companies to improve their products and today you can purchase a machine that can remove more than 99% of such harmful products as pollen, mold spores, pet dander, and dust mites. While this is especially important for those individuals who suffer from asthma or allergies it also helps all family members breathe easier while relaxing in the home. In order to be rated at removing more than 99% of allergens the vacuum cleaner must move all the air that is drawn in through the filter without any amount of leakage. This is sometimes referred to as a Sealed System, but it is important that the machine has this design. Even though the United States Department of Energy requires these filters to be rated at removing at least 99.97% percent of all particles 0.3 microns in diameter, if ALL the air doesn’t pass through them then they really aren’t that effective. Some of the cheaper brands will simply state that they use HEPA but won’t tell you much about it. The higher end brands will typically be much more forthright in the testing they have done and with the specific design they use to capture these micro-organisms. Another advantage of using a more expensive brand (such as Dyson) is you will get a lifetime washable filter. Simply rinse it out periodically and it will continue to perform as advertised. According to Wikipedia, a High Efficiency Particulate Air filter was first designed sometime during WW II to help capture radioactive particles from escaping the lab during testing. Once this was accomplished it was realized that this technology could have many different practical applications including in hospitals, in cars, and eventually inside homes. While it was only fairly recently that they became standard features on vacuums the technology has been around for more than 1/2 century. How Else Can You Control Indoor Allergens? In addition to regularly vacuuming your carpets with a machine that has a fully sealed HEPA filtration system there are several other things you can do to minimize your exposure to any harmful allergen. Here is a brief list that was compiled by the Asthma and Allergy Foundation of America and posted on their website. The AAFA website has a wealth of information on related topics so we recommend you spend some time browsing their articles as well, especially if you or a loved one has allergies or asthma. Unclutter Your Home – A cluttered home is a haven for dust mites so you need to try your hardest to keep as many of the surfaces as neatly organized as possible. Additionally, wash bedding and stuffed toys on a regular basis in hot water. Use Your Vacuum – This may sound obvious but you need to use your vacuum cleaner at least once per week, preferably more. If you have multiple pets and young children running around you might want to use it every other day. Watch Those Pets – Whether or not you are allergic to animal dander it is recommended to not let either your cat or dog sleep on your bed with you and to carefully clean their bedding on a regular basis. Special cleaning attachments can be purchased for removing pet hair from furniture as well. Control Pollen Inside – During peak pollen season, which is typically during the hot summer months, keep the windows closed and the air conditioner on. Make sure to change your furnace filter on an annual basis as well. Look Out For Mold Spores – Try to keep moisture problems to a minimum by using a dehumidifier and running bathroom vent fans whenever using the shower. Don’t overdo it with house plants either as the extra water will create more moisture. Keep Cockroaches Away – Cockroach droppings can really irritate airways and are just unsanitary in general. Don’t leave uncovered food on the counter and put out insect bait or traps as needed.